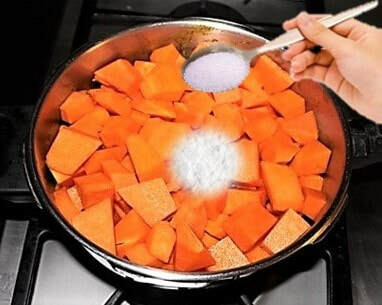 powder and the sweetness comes from sugar and as well as from pumpkin. simple and easy to make. 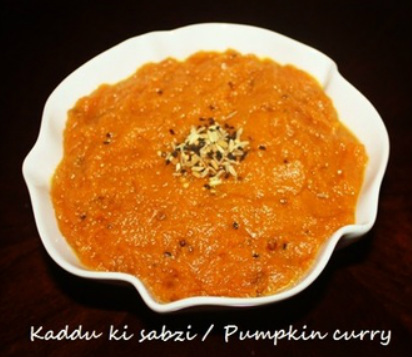 ﻿K﻿addu ki sabzi is a sweet, sour and spicy dish. In Hindi khatta means sour and meetha mean sweet. The sourness comes from dry mango powder and the sweetness comes from sugar and as well as from kaddu. 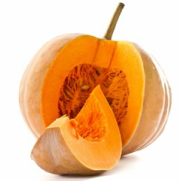 Pumpkin is known as Kaddu in Hindi. Kadu ki sabzi is one of the popular dishes prepared during Navratri fast, religious ceremony, festivals and weddings as a part of special meal consisting of simple Aloo tomato curry, boondi raita (yogurt dish) and couple of seasonal vegetables such as Aloo gobi (cauliflower) Bhindi (Okra) or Arbi (Taro roots) accompanied with pooris or kachauri (dal stuffed poori), followed by Halwa or rice kheer (rice pudding). 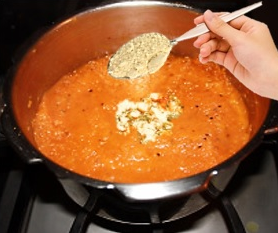 1½ Teaspoon salt or to your taste. difficult. First with a knife scrape out the pulp and seeds from the pumpkin. 2. Insert the knife in the ridge of the Pumpkin and cut into about 1" thick slices. skin from each wedge. It is easy to peel the small wedges then a bigger piece. 3. 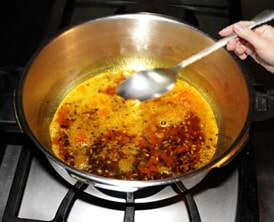 Now cut the peeled wedges into small pieces. Wash pumpkin pieces well. or until they become brown. 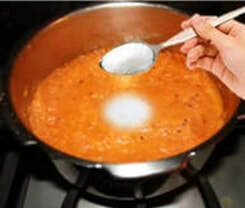 powder, and fry for few seconds. 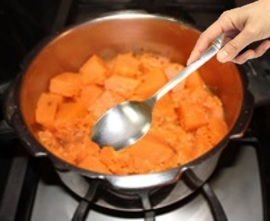 water comes out from pumpkin then raise the heat. so that all the water dries up quickly. cumin seeds and fennel seeds. Panch Phoron masala adds flavor to the dish.